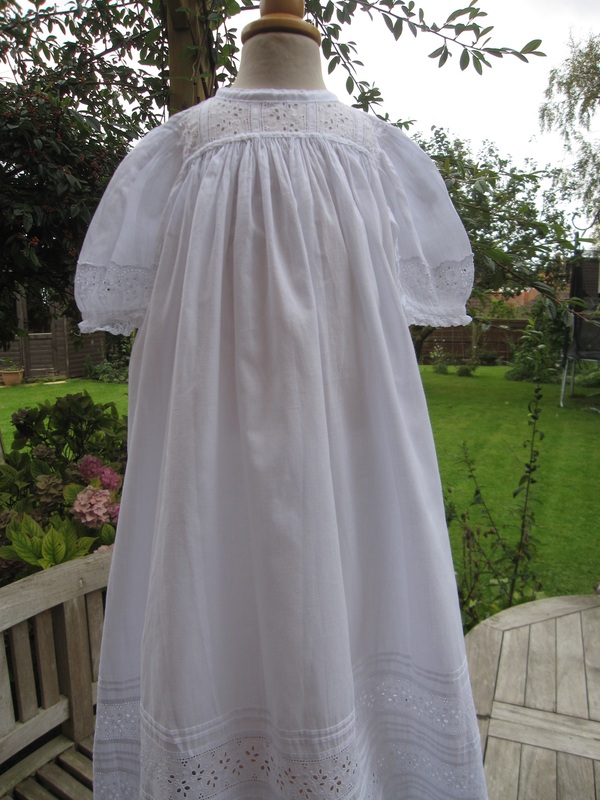 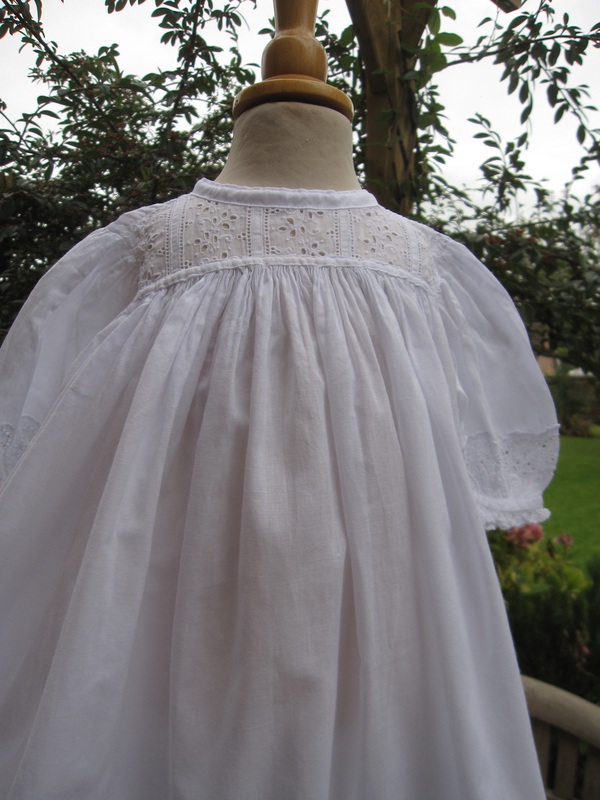 An heirloom long Edwardian Baptism Gown in immaculate condition. 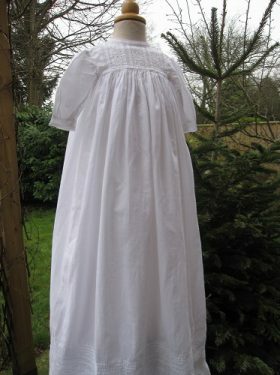 The Emily Christening Gown displays all that is good about the Edwardian period. 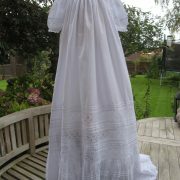 It is long, fullsome and has been perfectly preserved. 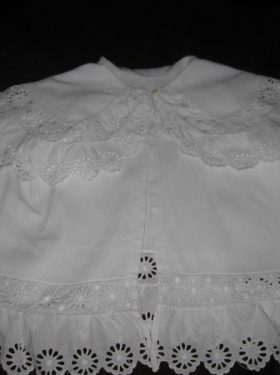 The Emily long Edwardian Baptism Gown has a rather short yoke that is typical of the erawith its vertical panels of lace. 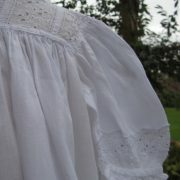 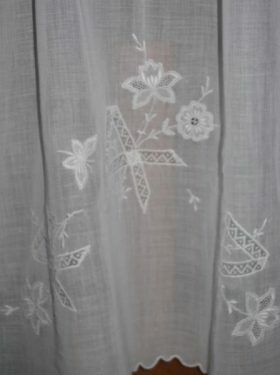 And, the detail on the long sleeves is wonderful with its lace decoration and narrow Swiss lace trim. 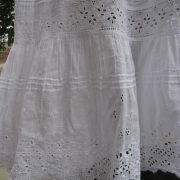 The full skirt is long with the decorated hemline starting nearly halfway up the skirt. 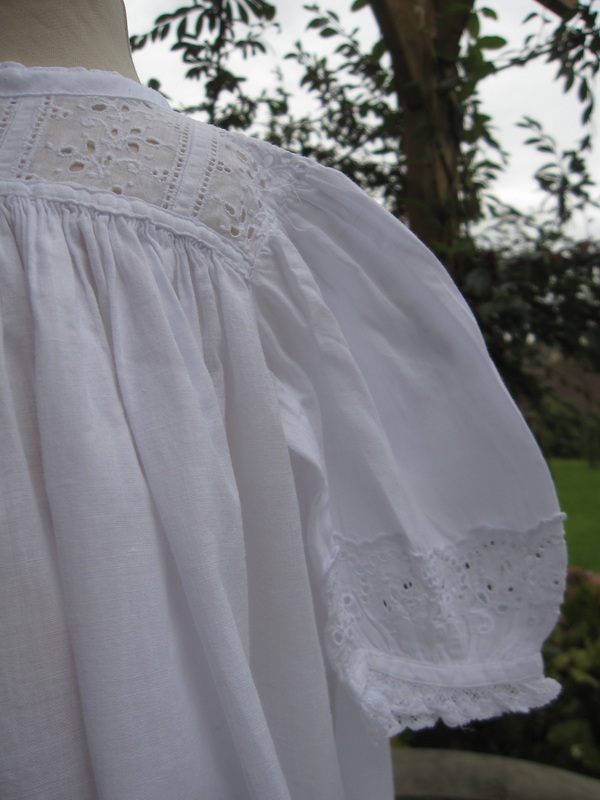 Rows and rows of pintucks and lace panels are finished at the hem with a sumptuous layer of scalloped edged broderie anglais. 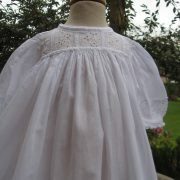 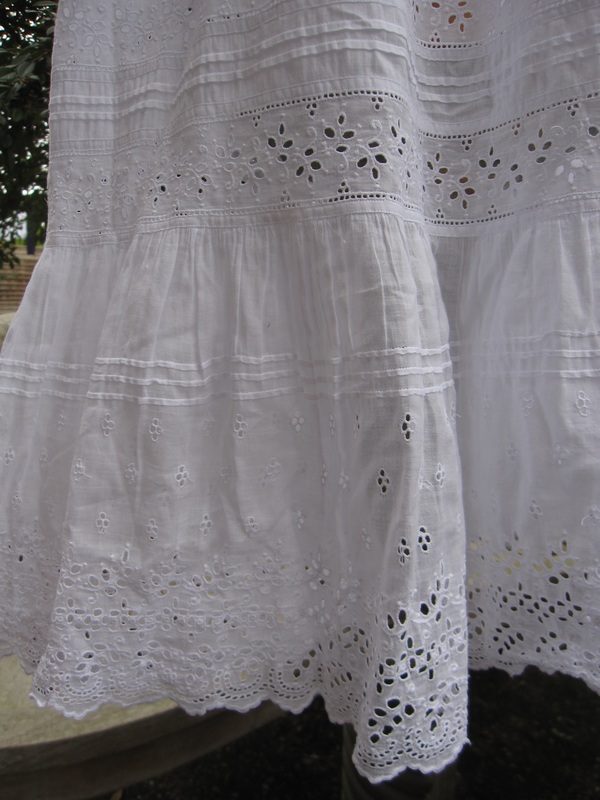 Why not also purchase an Edwardian style petticoat to go underneath. 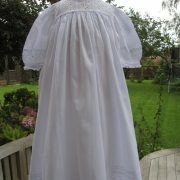 It will help give more fullness to this Baptism Gown. 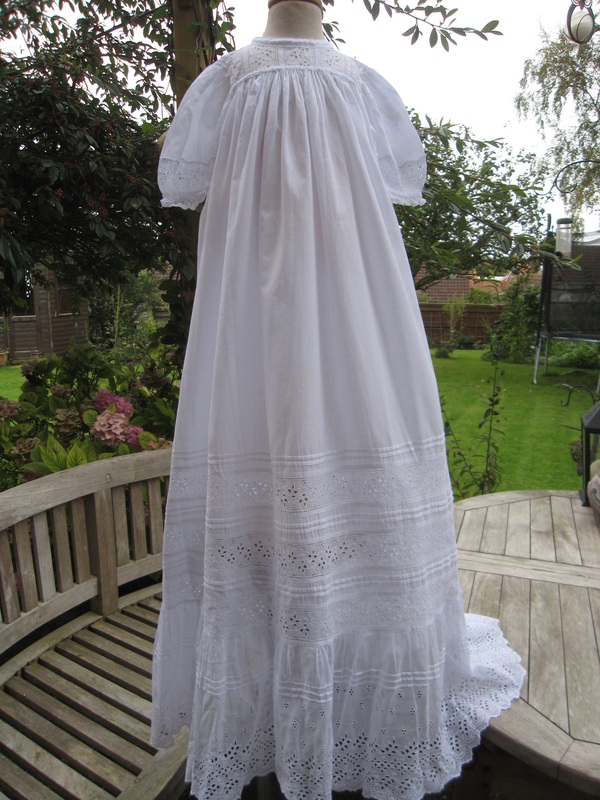 Fits an 18 inch chest perfectly. 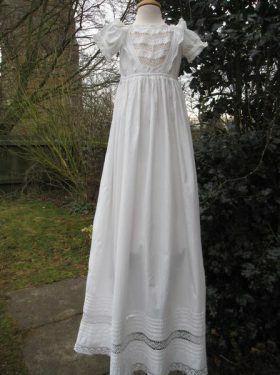 Length 39 inches.